'Punk' (Lawrence Ransom, R. 1997). Seedling 90/247-3. MDB, height 7" (18 cm). Late midseason bloom. Standards dark cobalt violet, center lighter; falls medium cobalt violet, dark red violet spot; beards light violet ending in fat, hairy horn. 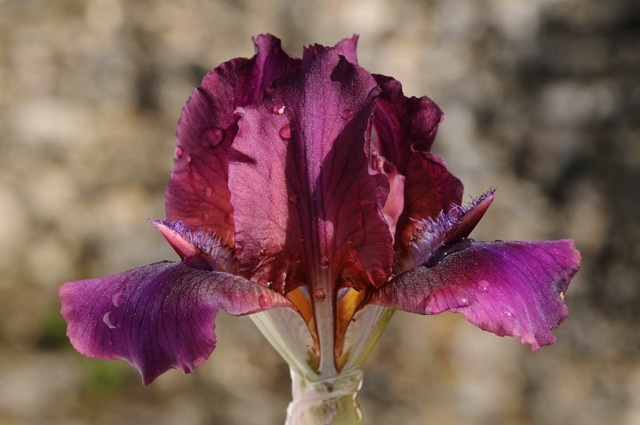 'Clay's Caper' x Peyrard seedling PB 88/1: ('Planet Iris' x I. pumila). Iris au Trescols 1998.